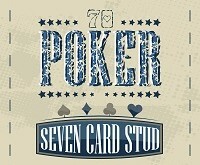 Texas Holdem is the world’s most popular Poker game. 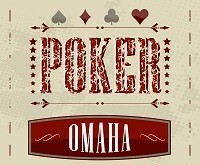 Its popularity has made it the game played in the Poker World Championships in Las Vegas each year. It is easy to learn and with out Texas Holdem rules and a bit of practice; you will be playing great poker in no time at all. The object of the game is to make the best 5-card hand using the players own two personal cards (hole cards) and the 5 community cards placed on the table for use by all the players. Holdem uses a small disk, called the button, to show who is the notional dealer in the round. This goes clockwise round the table prior to each new hand. The dealer is the last to receive their cards on the initial deal and has the right to the last action during the round of betting. To start the game, the player to the left of the dealer should put up a small blind and the player to the left of him a large blind. For example in a game of $1/$2, then the player to the left of the dealer would place $0.50 on the table and the player next to him places, $1. The dealer will then deal the two hole cards to each player, following which there will be a round of betting. 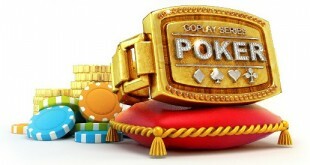 During each betting round, the players will each have to Bet, Check, Fold or Raise. See our Poker Dictionary page for definitions of these. The dealer will then place three community cards, face up, onto the table, called the Flop. Another round of betting will take place. The dealer then places another community card onto the table, called the Turn. Another round of betting takes place. Finally the dealer will place the last community card onto the table, called the River. The players then have a last round of betting. When the last round of betting has taken place, the players have the Showdown, where it is determined who has the best hand. For the ranking and values of hands, see our Hand Values page. During the Showdown, the players will have to use one of the following options to make up their preferred 5-card hand out of the seven cards in view. Two hole cards and three community cards. One hole card and four community cards. The player with the best hand then takes the value of the pot. If two players have the same value of hand then the pot is equally split. 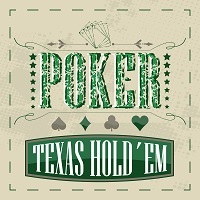 We’ve a wide range of Texas Holdem strategy articles to compliment our Texas Holdem rules if you want to learn how to play even better.